Originally a member of the legendary Desperadoes Steel Orchestra in Trinidad & Tobago, Denzil Botus' accomplishments in music over the last forty years are some of the most impressive in our field. Denzil served as the musical ambassador for Trinidad & Tobago. He has performed all over the world with acts such as Lester Booby and the Brass Fantasy and the Rolling Stones in 1974 at Madison Square Garden. 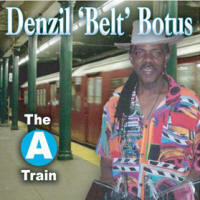 "The 'A' Train" was produced by Denzil's Boston based daughter Debra Sarjeant, grandson Charleston Sarjeant and himself. Denzil lived in Boston from 1979 through 1985. Other accompaniment - Charleston Sarjeant & Debra Sarjeant.